Cappuccino Strip: remove the buses or the cars? It's completely dishonest for the Port Authority to say they don't want to impose a wind farm over the objections of residents when they're the ones whipping up fears without any scientific evidence. Previously they said it would create problems with the union over fears of health impacts on port workers, but the Maritime Union supports the wind farm. Speaking at Occupy: Where's the money going to come from? Mr Buswell: Show respect - Fund Warrawee! In recognition of the fact that government contracted community service providers don't get enough money to do their jobs the Barnett government announced to great fanfare in early 2011 that most service providers would get a 25% funding increase in 2011-12 and a further 10% over 2013-14. 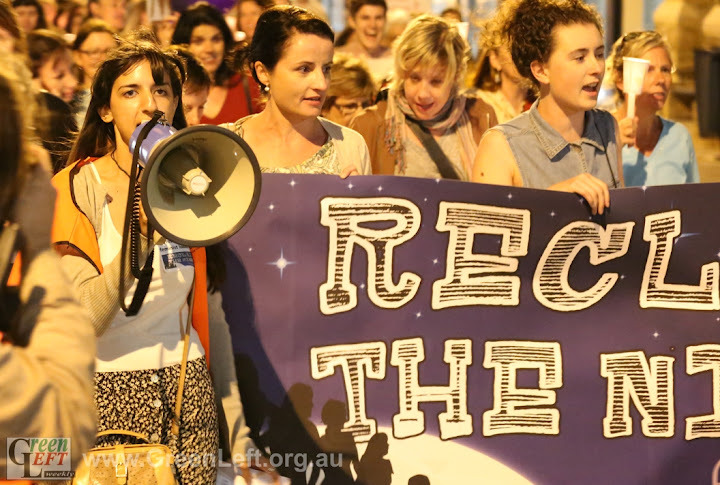 There was recent speculation in the media that the City of Fremantle was intending to introduce by-laws to ban begging, especially after the Mayor was canvassed on the issue by the 7:30 Report. In August members of the Socialist Alliance group at Notre Dame University raised with me the refusal of the university to let them register their club. Recently the Disability Services Commission confirmed that Hilton Harvest (via City of Fremantle) had been successful in its application for a $50,000 grant to make the gardens more inclusive of people with disabilities.